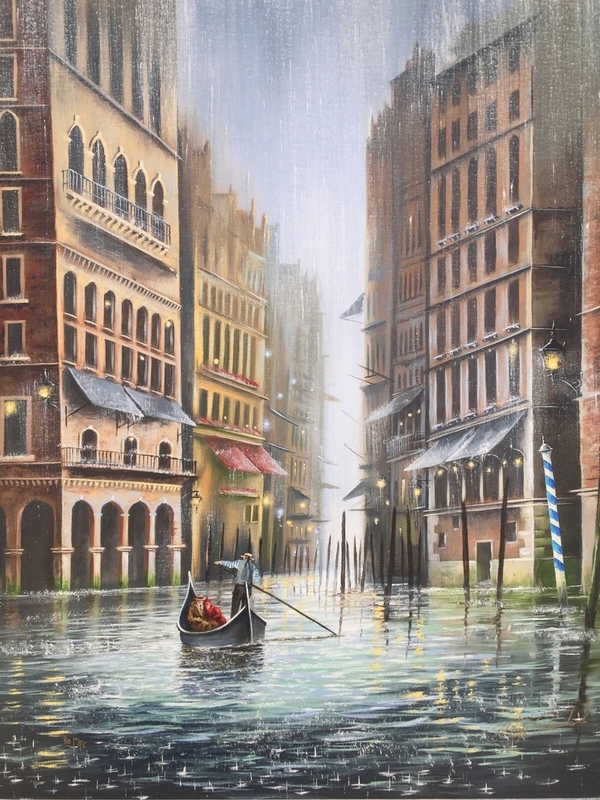 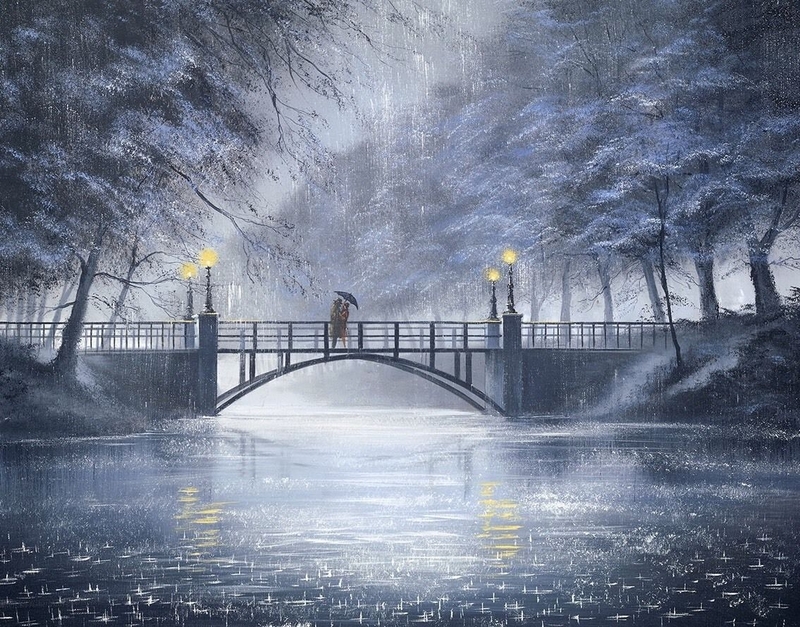 The artist sets his paintings in realistic feeling scenes. 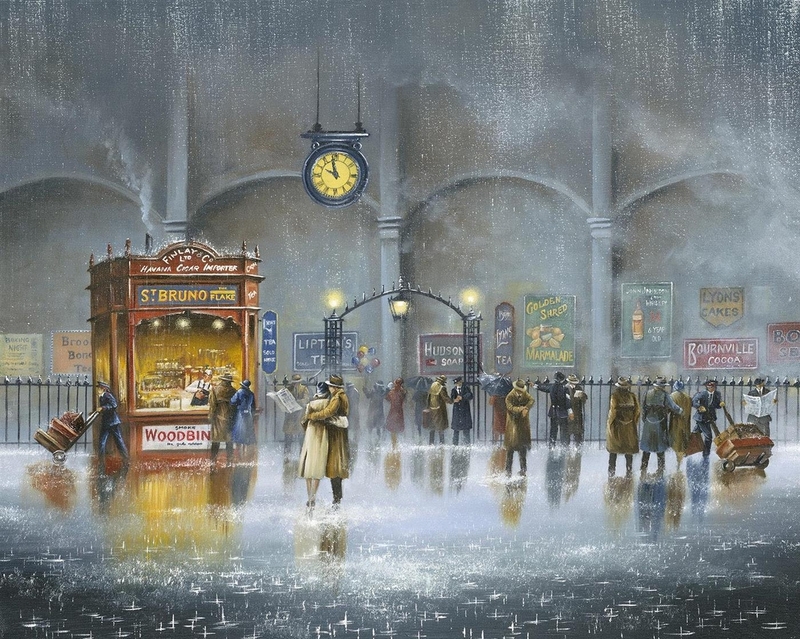 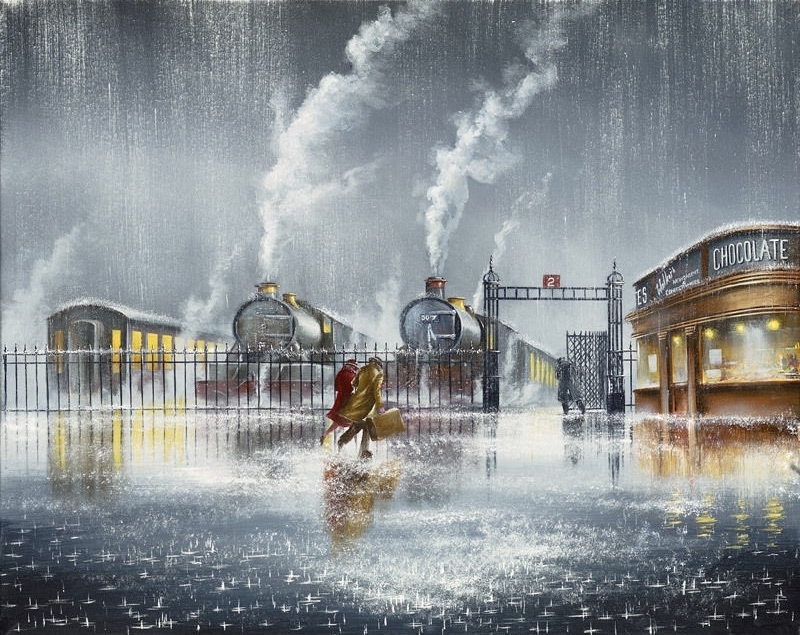 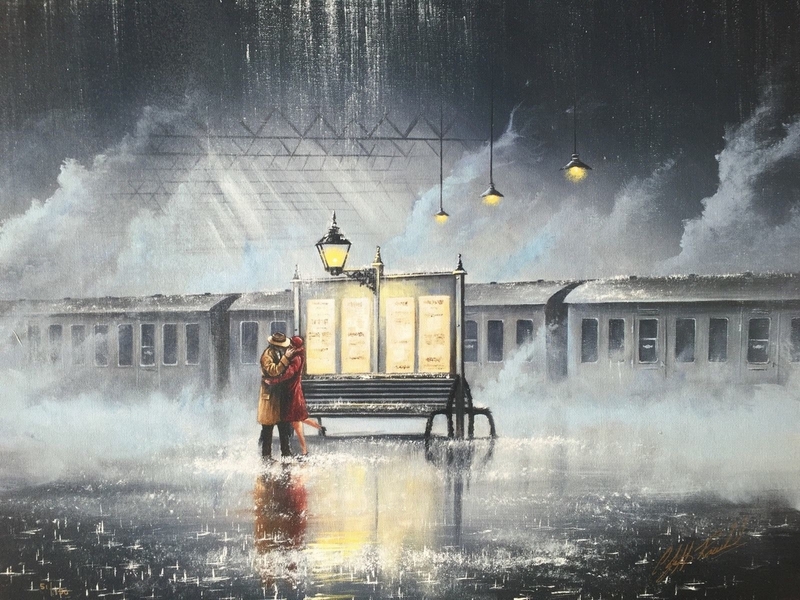 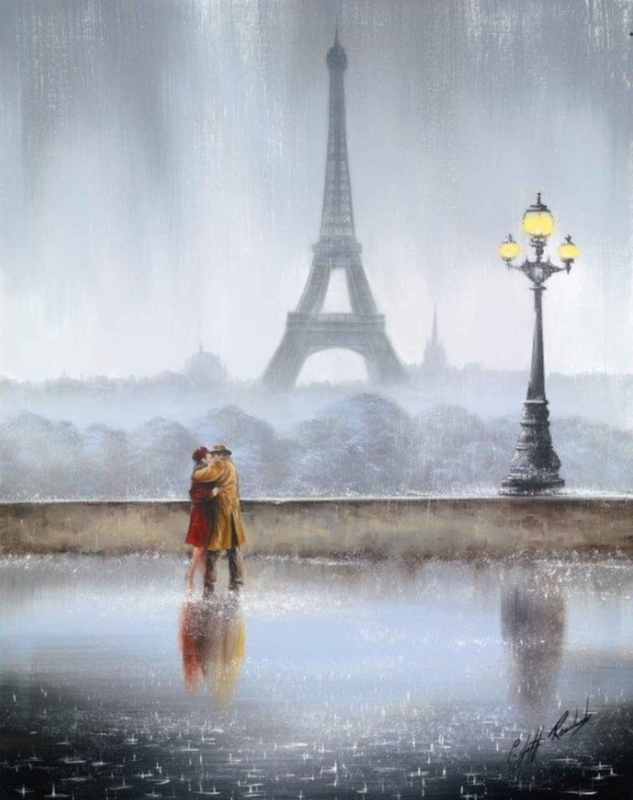 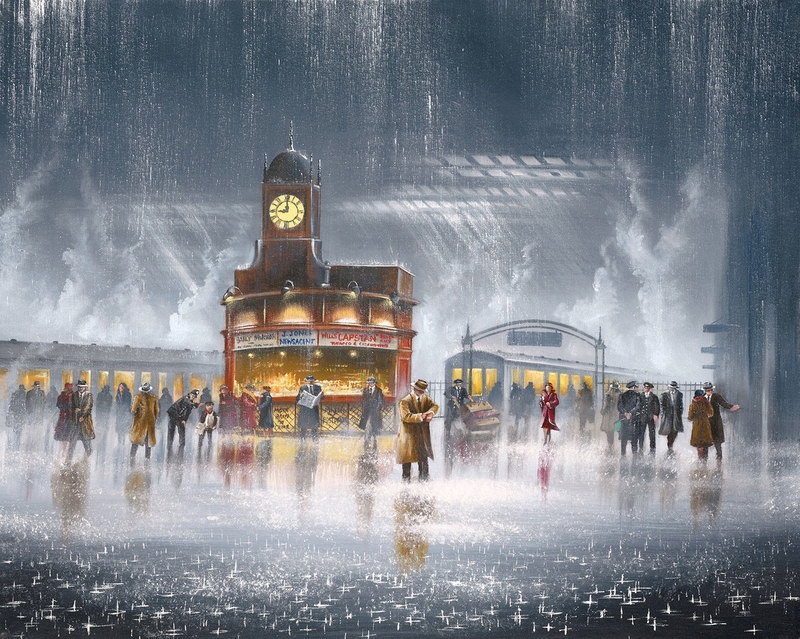 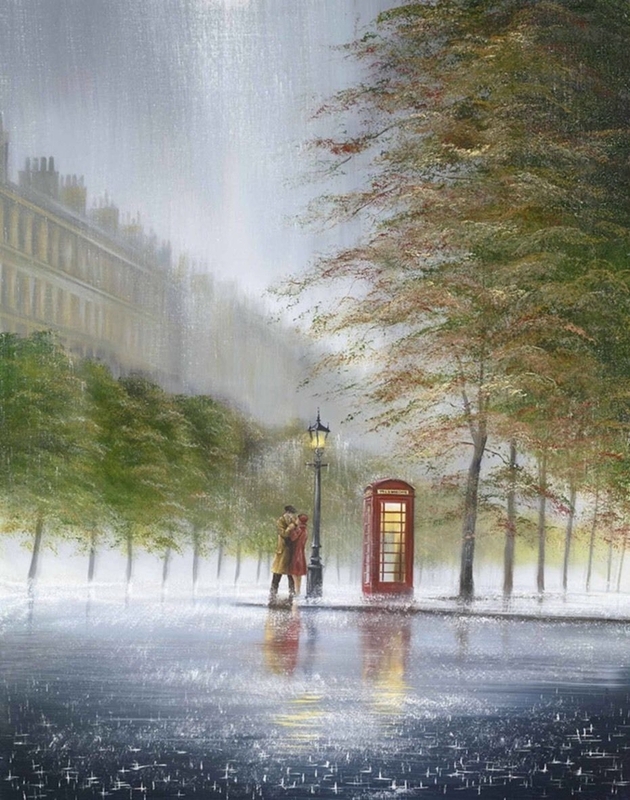 Amongst the different mediums he has experimented with, British Artist Jeff Rowland, has a predilection for oil paintings with a specific subject matter, "Romantic compositions of couples caught in the rain". 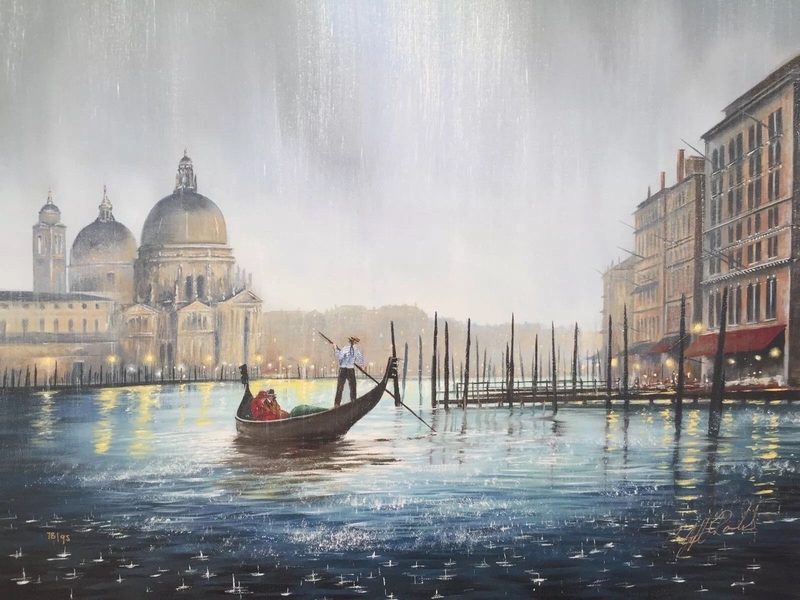 I find that looking at the rain falling can be very relaxing and I can see why some people can find it romantic, that is if you are in a dry warm place looking out at it. 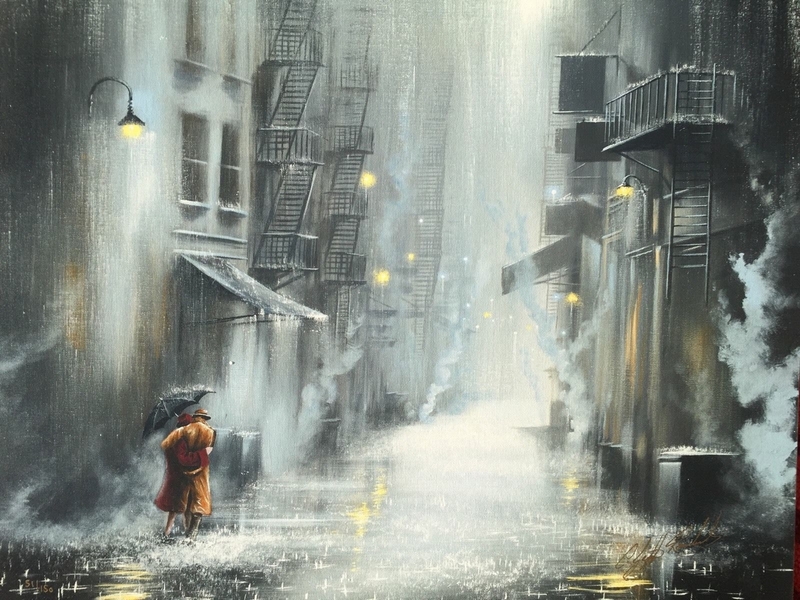 I suppose that, that is why in the films, they always show it pouring down with rain out side and the protagonists are sat snugly under a blanket, in front of a beautiful wood lit fire. 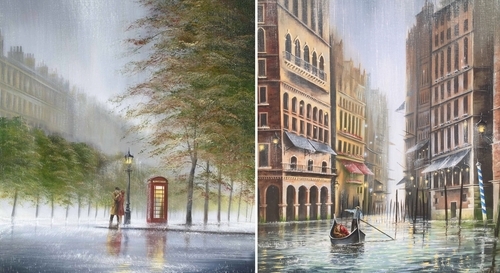 Look at these paintings from a worm and comfortable place with your favourite people around you and you will enjoy them so much more. 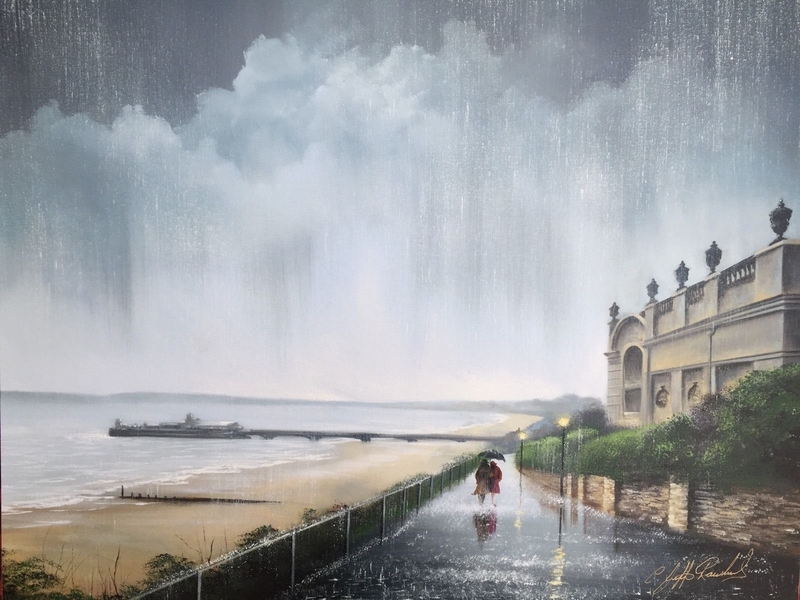 At The End Of The Avenue. 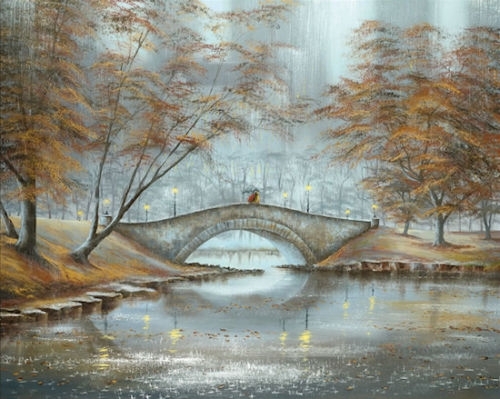 Meet Me On The Bridge.